I just purchased an old 928 manual that has the following vin: 9288100028. Apparantly it is the 28th 928 ever built, and one of the oldest remaining in the world. I am curious as to the history of this vehicle and the original paint code. It is currently painted red and some dufus added S rear spoiler and side moldings.. I wanna have it repainted and carefully restored to its original factory specification. The interior is in good order with black leather seats and lots of nice green carpets and vinyl...!!! It drives very well and I drove it about 1000 kms without any problems yesterday. Engine is strong and the whole car feels very temporary and tight on the road..! Amazing for a car that the previous owner said was an early production model made way back in February 1977. I will post pictures later, as it is raining men outside..! Please give me your comments and further info if possible. We need pics. Check out 928 registry, there may be some info and pictures of the earliest cars. Location: Berkshire. 'Old' England. U.K.
Have a look at this thread, it looks like you have #28 of 50 prototypes , does it have a production date on it anywhere ?. Congratulations on your new purchase. May I send some preliminary photos to one of your inboxes and have you help me upload them..? you can send them to me.. I will resize and post for you. Hope there's some engine bay pictures. Took pictures of another early 928 and Porsche had hand made some custom hard connection lines in the engine bay before they had tooled for custom routed hard lines. Looked just like those custom exhaust shop pipes with pieces of curves and straight sections joined together. I love seeing the real early cars pop up, your's would be about the 8th oldest I have logged... and it's the 28th RoW spec 928, probably about the 39th or 40th one actually made, what's the engine #? Since its ROW model and so low '78 MY it was very likely made in spring 1977 right after Geneve car show introduction in March. IIRR first 20 cars were made before the show and production started little after. First 50 being prototypes info I mention in linked old thread seems to be wrong on early model years. Wrong in a sense that factory would have first made x number of special cars and then started actual production from VIN 0061 for ROW and US markets and 9561 for Japan. In reality first cars where production models which just happened to have some different features than later cars made during model year. 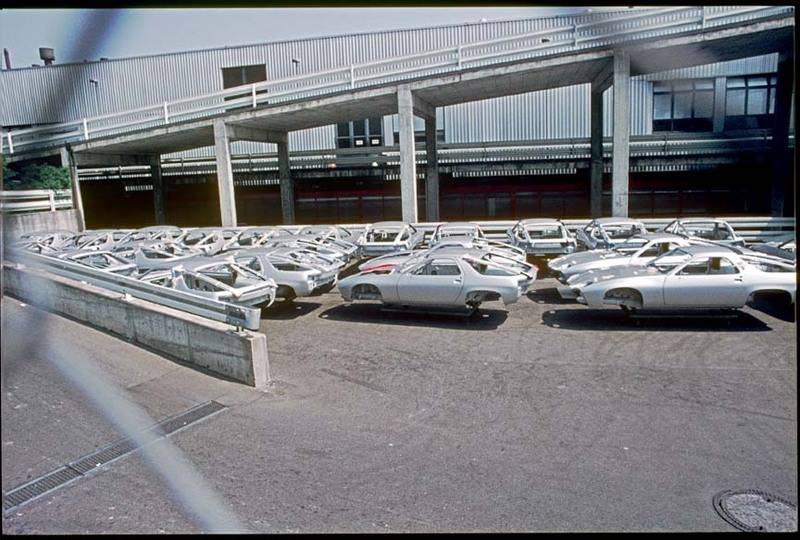 This means all numbers were used from first or last without gaps in the middle and cars made got more production like when production parts became available. Check for early US '78 pics in below thread. It was made months after first ROW cars yet it has some preproduction features. It would be very interesting to know engine and gearbox numbers. They have to be really low. Since its ROW model there weren't any VIN sticker in door opening so production month could not be seen from it even when car was new. Its very likely black seats are not original. Combination with green carpets is something Porsche wouldn't have done back then. Lots of pics of all small details is a must. Can't wait to see some detailed pictures!!! It might be one of these! 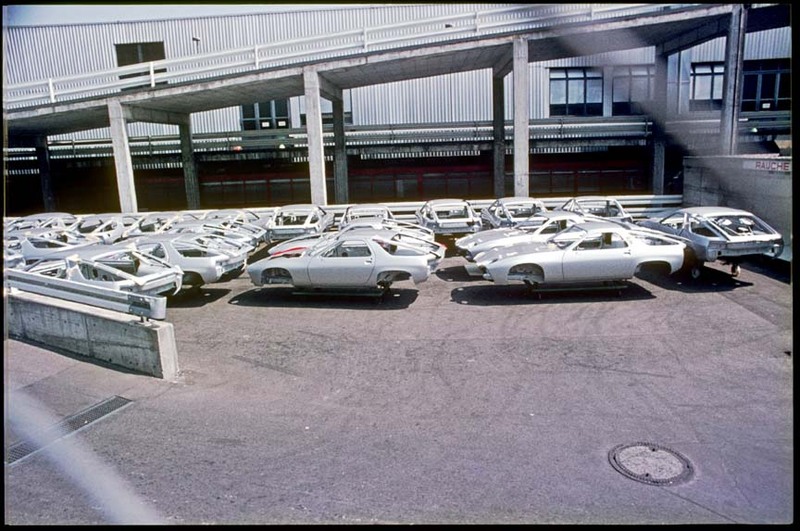 I shot these in March 1977 at Zuffenhausen. I would suspect it was originally silver,--most of that first year's production was painted silver. Was that the one that was for sale on 'Blocket'?? Look forward to seeing some more detailed pics!! That sounds like casting number. Gearbox number should start with G28 and be under the box next to rear subframe. A handbuilt 928, that's such an awesome piece of history, definately keen on oogling some pics!